Whether it's movies, your music, or ebooks - the R4 3DS Card will make it all possible. Your Nintendo 3DS system will become the center of your digital entertainment. Not only will you be able to play games on the worlds only 3D handheld game system, you'll also be able to use your R4 3DS to enhance every single aspect of your 3DS. You will also have access to some of the absolute best homebrew/freeware games and applications. Games released by the developers themselves, and they are all yours to download, play and share with any that has a 3DS R4 Card. This card is totally compatible with all of the newest Nintendo 3DS, Nintendo 3DS XL, Nintendo 2DS, NEW Nintendo 3DS XL with c-stick and the NEW Nintendo 3DS (non-XL version) with the C-Stick. New Update On December 6, 2018, Nintendo 2DS, Nintendo 3DS, and Nintendo 3DS XL / 3DS LL v11.9.0 as well as the v1.45 DSi and DSi XL update. Also supports the latest NTRBoot. You can rest easy knowing that you won't be left behind with the r4 3ds. It is always the first card to receive all of the latest updates and upgrades! As always, the R4 3DS is the first to receive updates whenever there is an upgrade to the Nintendo DSi or the Nintendo 3DS system versions. Just how is this all possible? It's easy. 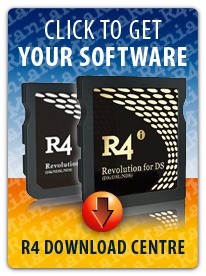 The R4 uses micro SD cards, which it uses to load and store any kind of multimedia file you can throw at it. Using the immensely popular Moonshell freeware media player on your 3DS means you can quickly and easily convert all of your movies and videos, and play them back on your handheld. Just one 4GB micro SD card can hold anywhere from 4 to 6 movies, so you'll never run out of things to watch. Moonshell also enables your R4 3DS to play back MP3 files on your 3DS. Just copy them over to the micro SD card and you're all set. You can even skin the menu system and make it look just like an iPod, with skip, repeat, fast forward buttons, etc... And with the free ebook reader app, you can have all of your best sellers right on your Nintendo 3DS. Works on ALL 3DS, 3DS XL, Nintendo 2DS and the NEW 3DS systems worldwide - all regions. 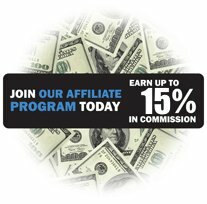 The ultimate homebrew, game and application player! Full compatibility with all games. Turn your 3DS, 3DS XL and Nintendo 2DS into the ultimate retro game system with emulators for the NES, SNES, Neo Geo, TG16, Gameboy, Gameboy Color and Dozens more! Thousands of ds homebrew games and applications! Like candy :) Got the R4 in record time. Only took 9 days to the UK and everything is working great. I will be sending some of my mates to get some as well. Love this card and everything it does. Good price and the service was fast. I bought it to use some emulators and so far Gameyob and NeoDS have been my favorites. Question: Does this work on New 3DS XL system version 11.3.0-36U? Very interested in this card. Just need to ensure that it will work with the New 3DS XL system version 11.3.0-36U? ANSWER: Yes, it works perfect on the latest 11.3.0-36U systems. will this work on New 3DS XL version 11.3.0-36E? Does this work for a dsi xl?Whats the difference between this one (r4 3ds)and the one specific to the dsi xl(r4i sdhc). Does it matter which one i get? And same question applies to the software to download on both listings. ANSWER: It does work just fine on the DSi XL. The difference is that the R4i SDHC for DSi XL works on just the DS and DSi, but not on the 3DS. The R4 3DS works on the 3DS, 2DS and is backwards compatible with the DSi XL, DSi, DS Lite and original DS systems. Does this work on firmware 11.1.0? ANSWER: Yes. And it works on even the very latest 11.3.0 firmware as well. Is it compatible with version 11.2.0-35U of New Nintendo 3DS XL? ANSWER: YES! And it is compatible with the 11.3.0 as well. How long will it take to arrive in Australia? I wanna know how long is will take to arrive in Australia? 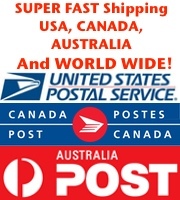 Answer: It usually arrives to Australia within about 7-10 days maximum. How long does it take for my order to arrive after it has been shipped? ANSWER: It normally takes between 5-14 business days. 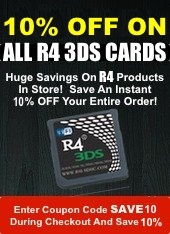 Click the button below to add the R4 3DS to your wish list.